For more information about this project contact Pablo Atuesta Pradilla of Groncol at [email protected], +57-1-703 0955 EXT. 104, or visit www.groncol.com; and Paisajismo Urbano at: 0034 965 688 134 or [email protected], or visit http://www.paisajismourbano.com/. Groncol and Paisajismo Urbano. 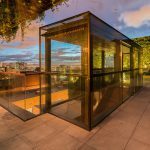 See beautiful photos from professional photographer Daniel Segura Fotografía. 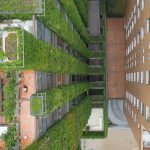 Watch the 2:35 Santalaia – Project of the Week 9/06/16 video from Greenroofs.com on the greenroofsTV channel on YouTube. 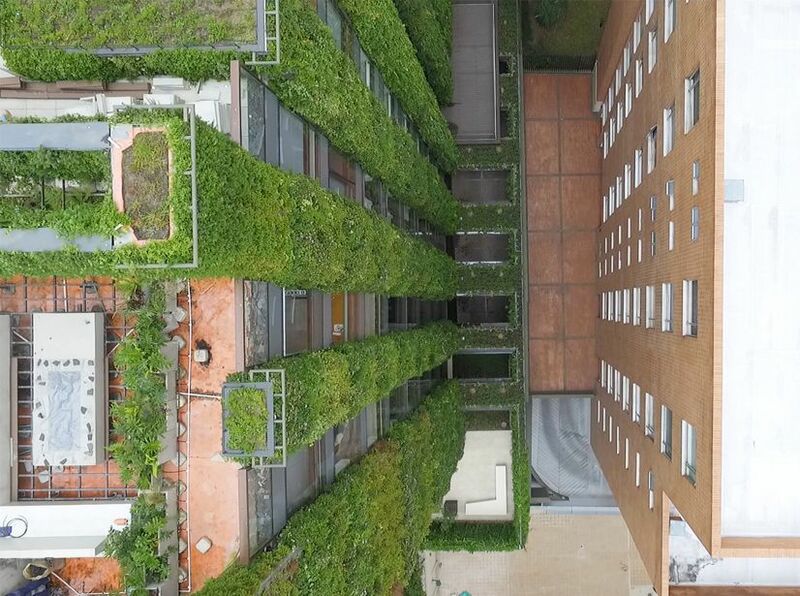 Greenroofs.com Project of the Week video photo credits: Groncol, Paisajismo Urbano, and ©Daniel Segura Fotografía: danielsegurafotografia.co; video clips from Groncol. 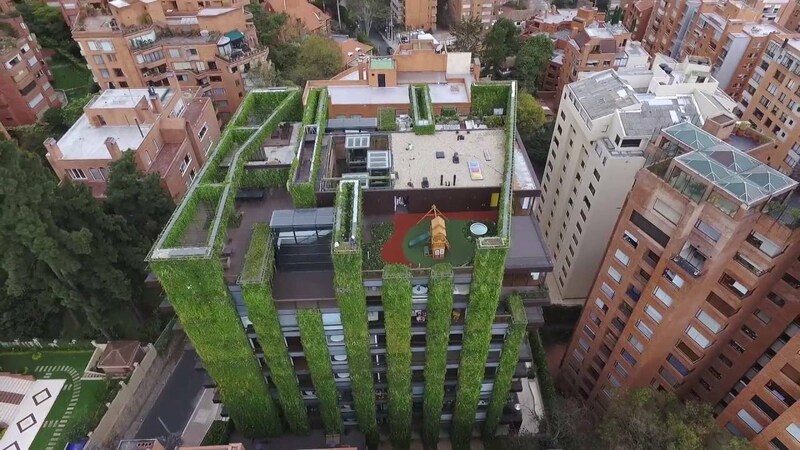 1:21 video El jardín vertical más grande del mundo (En construcción) – The largest vertical garden in the world (under contruction) from Paisajismo Urbano; and the 2:14 video Santalaia – Amazing Vertical Garden by Groncol – Infraestructura Verde, both on YouTube. 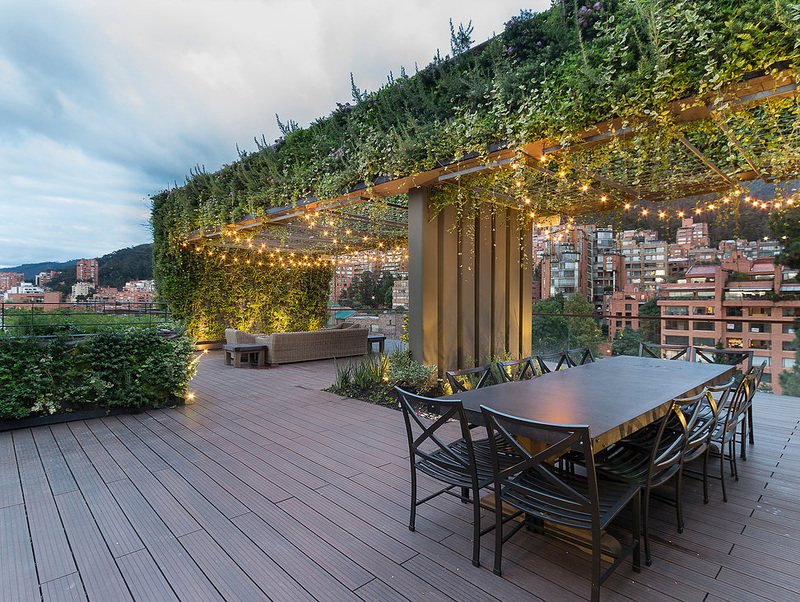 Santalaia is a high end multi-family residential building situated on the eastern edge of the densely populated Colombian capital of Bogotá. 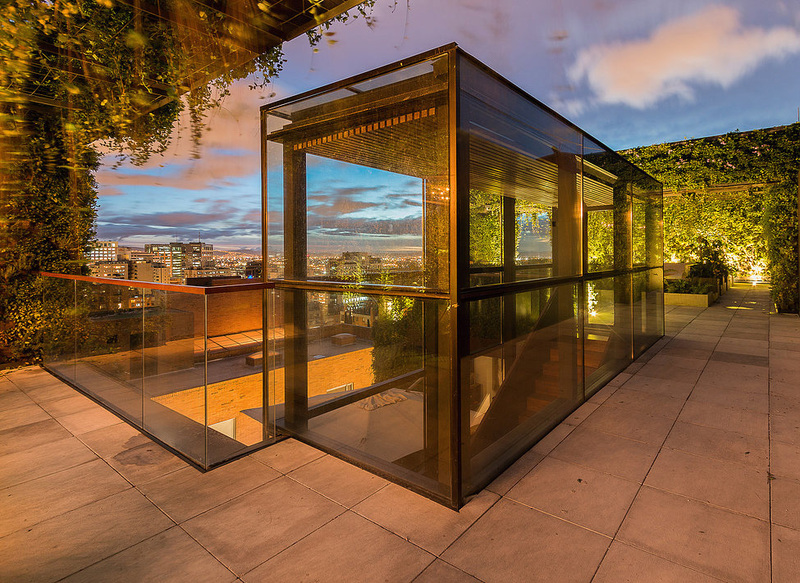 It has a privileged location in the Rosales neighborhood, adjacent to several embassies and with a wonderful view over the eastern hills. 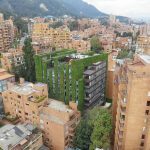 In 2013 architects Exacta Proyecto Total approached Groncol, vertical garden and greenroof designer and installer, with the idea of having a multi-family residential building entirely covered with plants. 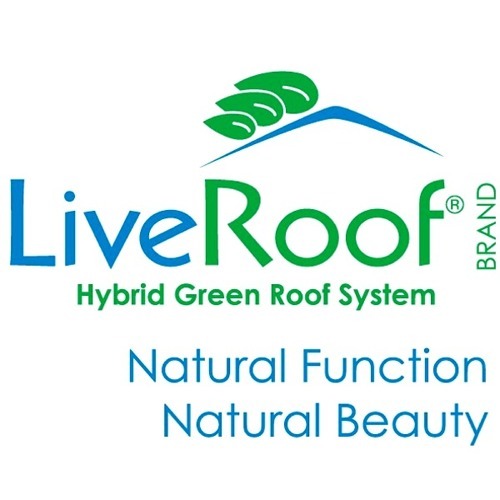 They were unfamiliar with how it could be accomplished and therefore wanted to partner with a company with the most amount of experience in the matter. 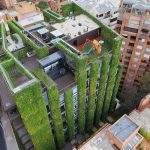 One of the architect’s inspirations and references was the B3 Hotel in Bogotá, which had a very successful and relatively large (360 m2) green wall installed in 2012 by Groncol. Groncol believed they had the technology, based upon prior use of these systems from the Spanish company Paisajismo Urbano, and the experience to build such a large and aggressive design for Santalaia. 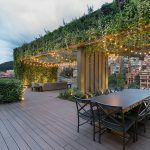 The Colombian design/build company embarked on the quest as soon as they became more familiar with the project. 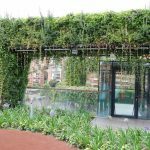 Completed in December 2015, the project took a total of eight months of planning and eight months of construction to build the green wall 9 stories above ground and 2 stories underground. 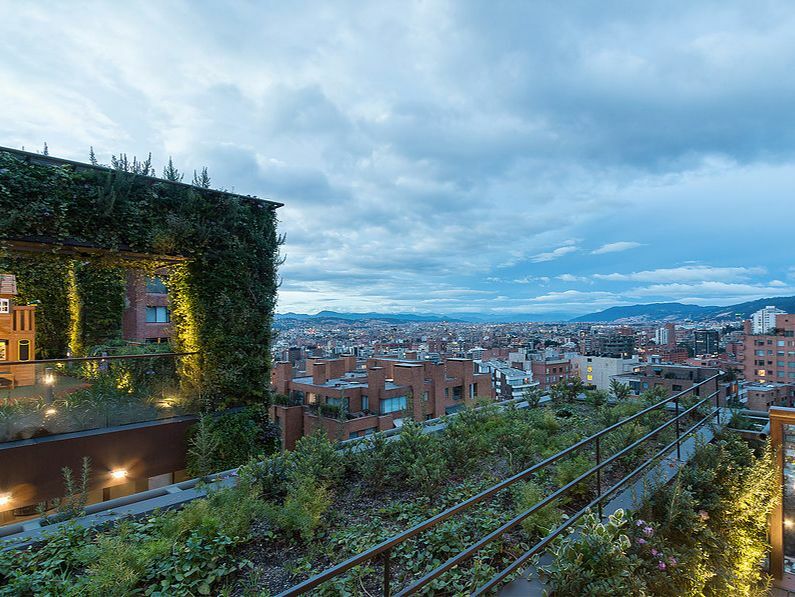 “The architect’s intent was to produce a uniform green layer with real plants. 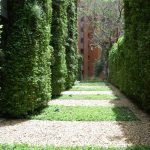 He would have preferred to have only one species, but since it was too risky we built several prototypes with different plants that would give us a uniform green tone and plant volume. 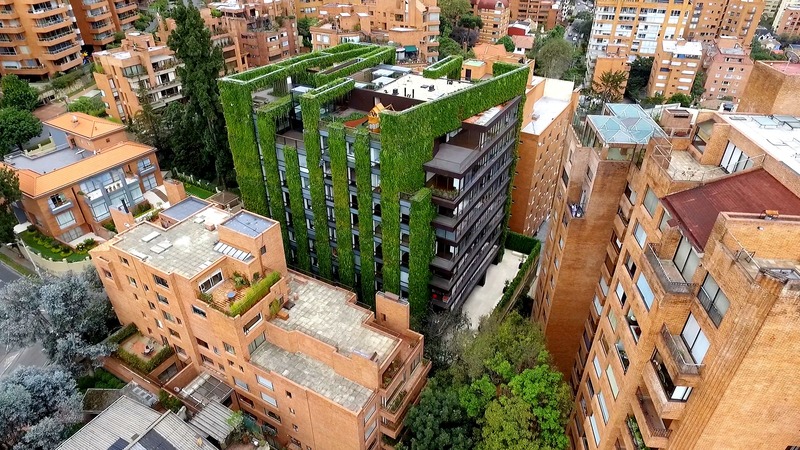 The building should enhance the comfort and well being of its inhabitants, and the designer wanted the sensation of being surrounded by plants so as not to feel as though you were living in a dense urban environment like the one we have in Bogotá.” ~ Pablo Atuesta, General Manager of Groncol. 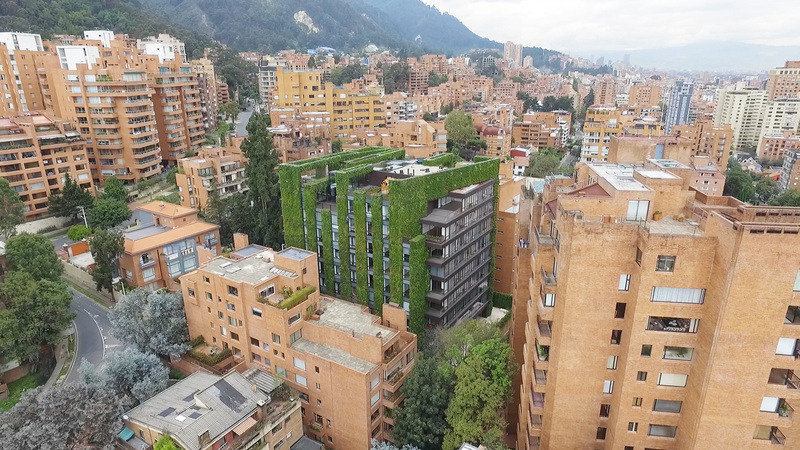 The technological base for the project utilized Paisajismo Urbano’s hydroponic green wall system – their f+p system (or “Sistema f+p”). 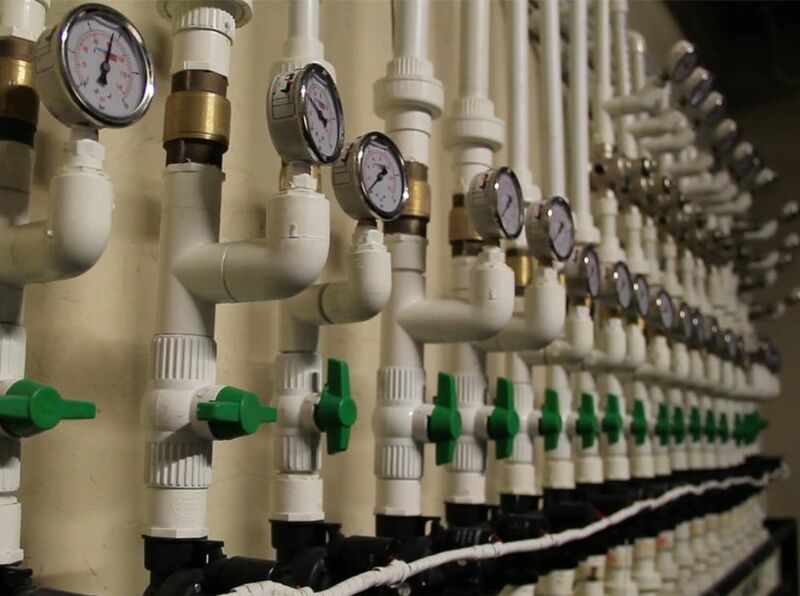 In conjunction, Groncol had to build a special hydroponic irrigation system that could handle up to 42 different irrigation stations. 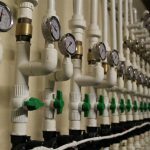 In addition, the irrigation system is also regulated according to humidity levels as well as solar orientation. 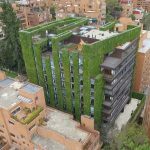 Groncol built the 3,117 m2 vertical garden over a large metallic structure that was designed specifically for the project. 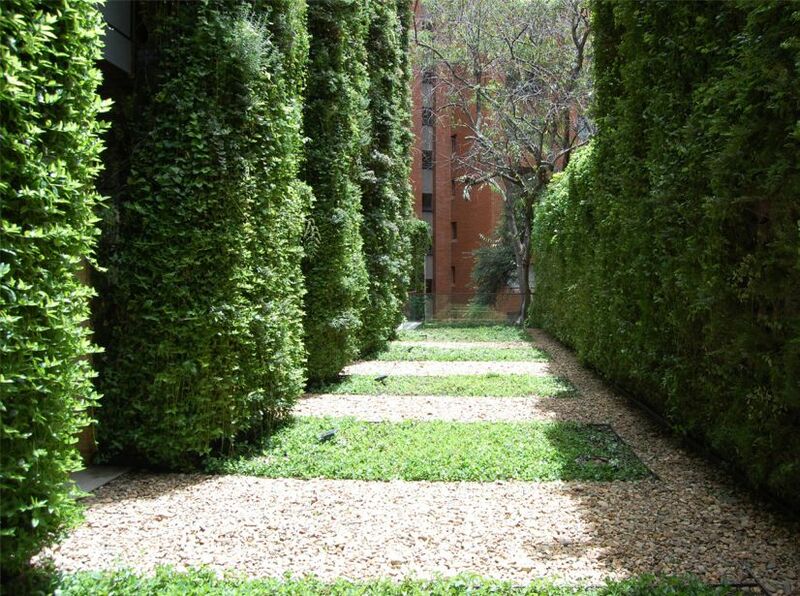 Naturalized plants in the massive green wall include Hebe Mini, asparagus fern, rosemary, vincas, and spathiphyllum, among others. 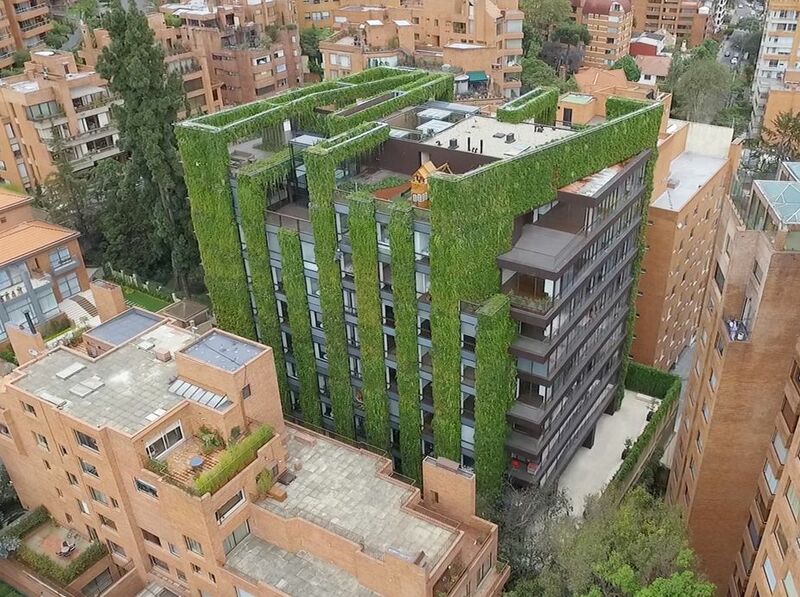 In total, about 115,000 plants were incorporated into the Santalaia project. Maintenance includes a full time 2-person team which is augmented once a month during heavier activities. 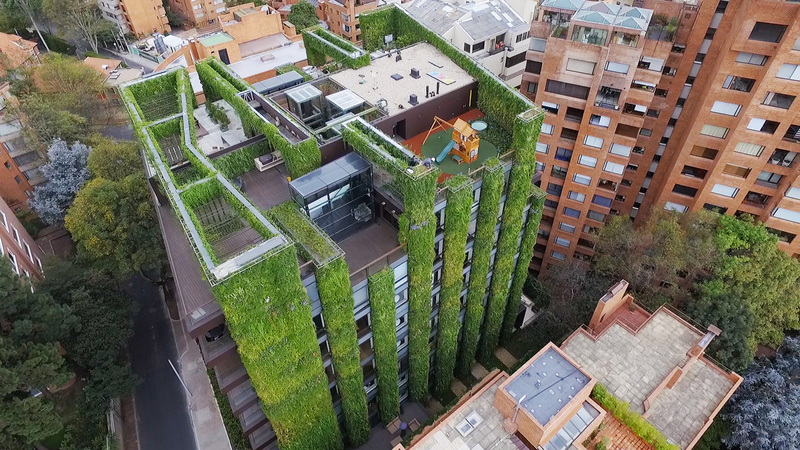 The owners of the building are extremely pleased with the end result and consider the green wall a unique experience and architectural function. 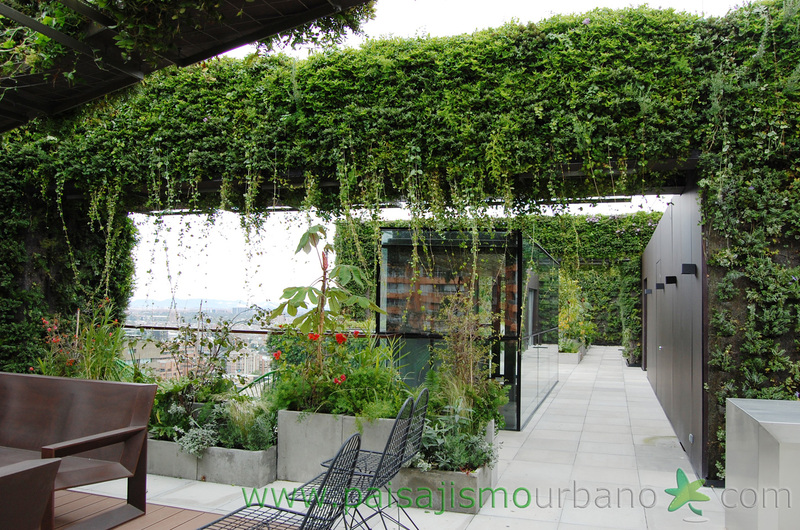 One of the penthouses has a private garden for the owners’ children which is stunning in its execution and the fact that it is located atop a structure in a major city center. 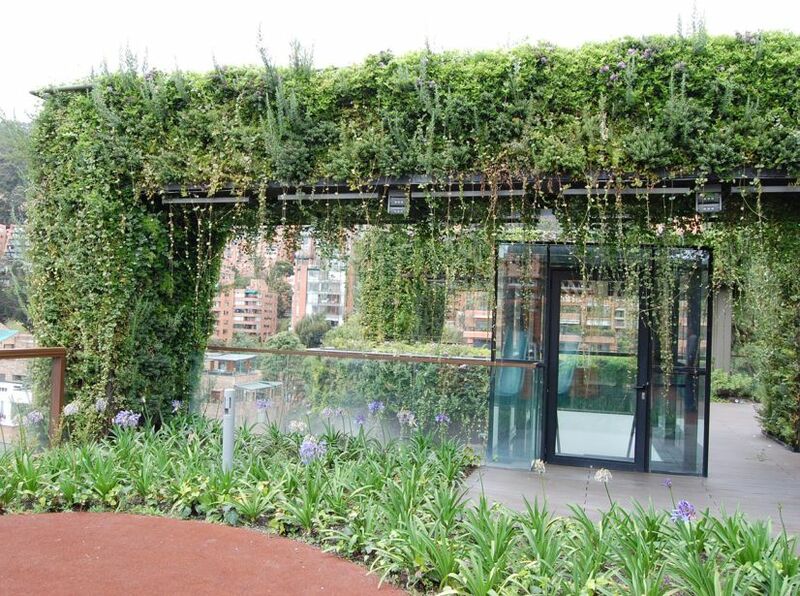 Groncol says the plant coverage helps in the reduction of urban heat island effect and offers these figures: 115,000 plants equal a carbon footprint compensation for 700 people; 3,000 m2 of vegetation provide oxygen for 3,000 people; and the very large Santalaia green wall offers the equivalent of air cleansing for the PMM emissions of 745 cars. 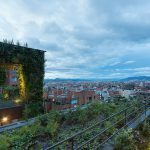 The result of the Santalaia building is the highly successful establishment of one of the most beautiful and largest Vertical Gardens in the world. 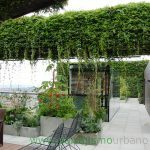 The lush green wall is a reminder that we should not only live in a concrete covered city, we should be constantly relating with nature instead.